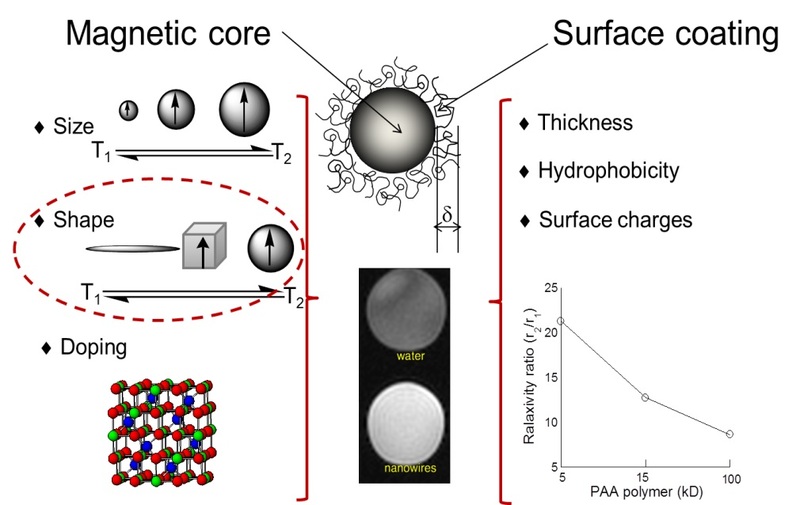 Shape control is one of the most exciting aspects of the nanoparticle synthesis, which allows manipulating the chemical and physical properties of nanomaterials. 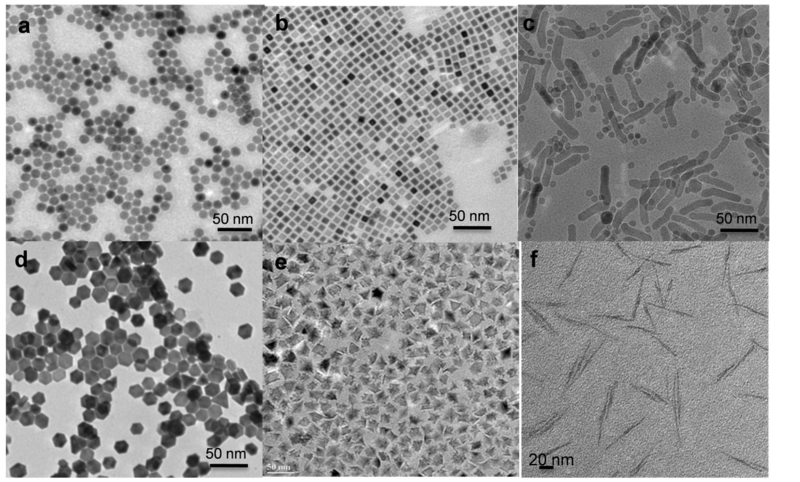 Iron oxide nanoparticles with various shapes were synthesized using a modified “heat-up” method. The shapes of the iron oxide nanoparticles directly affect their magnetic properties, such as ferromagnetic nanoworms, superparamagnetic nanocubes, paramagnetic/superparamagnetic mixed nanoplates and ultrathin nanowires. Au fluorescent nanoclusters represent a new class of fluorescent tags, which have several advantages over others, such as aqueous synthesis, low potential in vivo toxicity, tumor imaging capability, and minimal effects on the biological function of the labeled bioentities. The protein-encapsulated Au nanoclusters are particularly attractive because of their biocompatibility and easy conjugation. The integration of fluorescent nanoclusters and iron oxide nanoparticles will not only lead to a new type of bifunctional nanoparticles, but also open up a number of opportunities in simultaneous imaging and therapy. Magnetic resonance imaging (MRI) offers a powerful, non-invasive tool for brain tumor imaging, personalized medicine, and therapy monitoring. The use of contrast agents significantly enhances the image contrasts, yielding better resolution. T1 positive contrast agents are mainly paramagnetic Gadolinium (Gd) complexes, which shorten the longitudinal relaxation time (T1) and generate a brighter image. T2 negative contrast agents, primarily superparamagnetic iron oxide nanoparticles (NPs), produce a darker image by shortening the transverse relaxation time (T2). T1 contrast agent is clinically preferred because of the higher resolution. Here, we are developing a new type of T1 MRI contrast agent based on ultrathin iron oxide nanowires. Here, using iron oxide nanoparticles of different shapes, we are to understand the importance of particular shapes. Specific targeting is a key step to realize the full potential of iron oxide nanoparticles in biomedical applications, especially tumor-associated diagnosis and therapy. 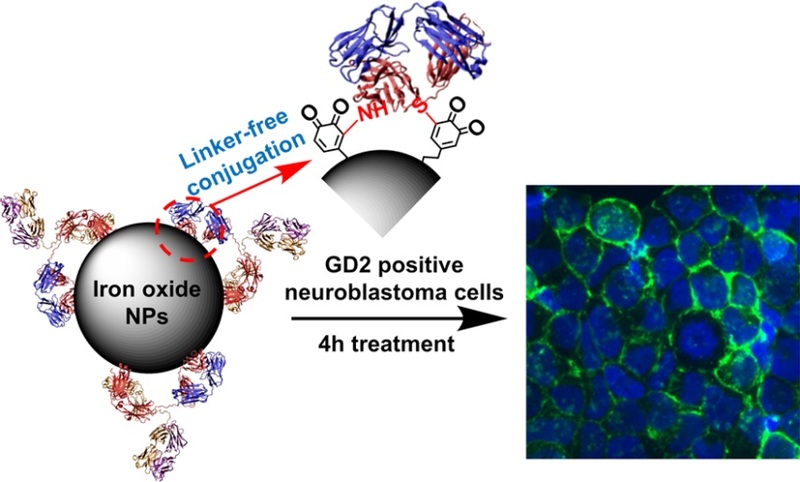 In collaboration with Prof. Mario Otto at University of Wisconsin-Madison, anti-GD2 antibody conjugated iron oxide nanoparticles were developed for highly efficient neuroblastoma cell targeting. One of the main concerns about using nanoparticles in human body is their potential long-term and developmental effects on next generation. 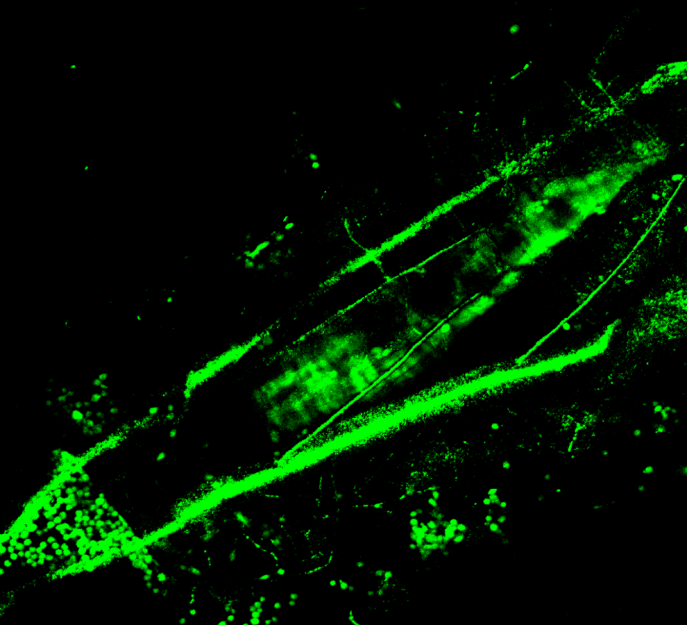 In collaboration with Prof. Janis O’Donnell and Prof. Jane Rasco, the developmental and reproductive toxicity of iron oxide nanoparticles were investigated using whole organisms, Drosophila flies and mice.